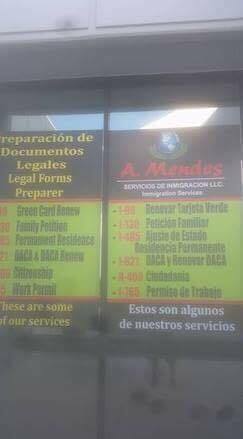 Phoenix, AZ -- Somos Independents is asking State Senator Martin John Quezada to cease and desist his political intimidation and harassment. He was notified by email and acknowledged receipt of communication. Local law enforcement, the FBI Internet Crime Department and The House Ethics Committee has been notified. House Bill 2549 prevents anyone from terrifying, intimidating, threatening or harassing an individual through electronic communication. On 10 August 2016 at approximately 4:52 pm, you were identified by a witness who saw you taking photos in the parking lot at the location where I volunteer and work. The witness took a photo of your car, and then went out the door and caught the majority of the license plate of the car you were driving. An investigator identified the white Toyota sedan with license plate AZ 337HBY you drove as being registered to your father, Mr. Martin Quezada, Jr., at an address on Aster Drive in Peoria, AZ 85381. Moments after my witness saw you near your opponent’s campaign office, the photo you took of the building where we volunteer was uploaded onto a fake “DeeDee Blase” Twitter account, which clearly shows a pattern of intimidation and harassment practices by yourself or your agents. That fake Twitter account describes falsehoods regarding my support of your opponent Lydia Hernandez (former Arizona State Representative). The fake Twitter account clearly shows intimidation and harassment by either you, your campaign manager, or a person close to you when they mistakenly uploaded a photo of yourself on the day my witness saw you at our building. 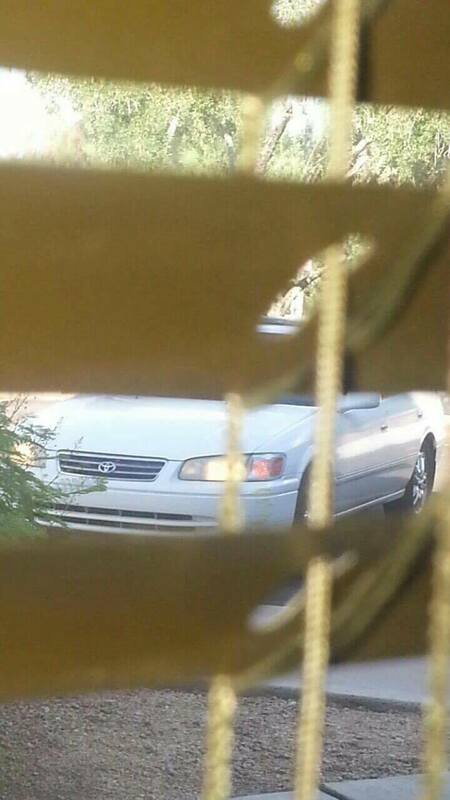 An investigator confirmed the car was related to you due to the license plate captured at our office. My witness remembered the clothing you were wearing that matches the photo uploaded in the fake DeeDee Blase Twitter account. You were wearing a blue polo shirt with a logo that said “Pendergast.” Video surveillance captured you driving into and exiting our parking lot. The video also shows the blue polo shirt our witness saw you wearing. These intimidation tactics used by your campaign will not be tolerated. Your intimidation tactics were recorded and began with the mothers who wanted to recall you as a Board Member of the Pendergast School District in light of the bullying problems at your schools. The attached print screens show your behavior with the mothers who are complaining about Pendergast schools. Recently, you tried to intimidate Vanessa Hernandez, who is the teenage daughter of your political opponent, by posting her social media post on your facebook page and the photo that shows her support for her own mother. Phoenix Police Department / Law enforcement authorities have been notified of your harassment and social media bullying conducted by you or someone very close to you, and an additional complaint was made with the FBI Internet Crime Complaint Center for social media bullying/harassment. On August 17, 2016, two volunteer workers at the campaign office had their tires slashed. If these intimidation and harassment tactics used by you or your supporters continue, I will have no choice but to file an Injunction Against Harassment against you. 1. Anonymously or otherwise contacts, communicates or causes a communication with another person by verbal, electronic, mechanical, telegraphic, telephonic or written means in a manner that harasses. 2. Continues to follow another person in or about a public place for no legitimate purpose after being asked to desist. 3. Repeatedly commits an act or acts that harass another person. 4. Surveils or causes another person to surveil a person for no legitimate purpose. 5. On more than one occasion makes a false report to a law enforcement, credit or social service agency. 6. Interferes with the delivery of any public or regulated utility to a person. If you and your supporters do not cease and desist, I will ask the Ethics Committee of the House of Representatives to conduct a full investigation on your harassment tactics. (Above) Witness saw Sen. Martin Quezada take photo of our building. (Above) Moments later a photo of a man taking photo of our building was posted on fake social media account. 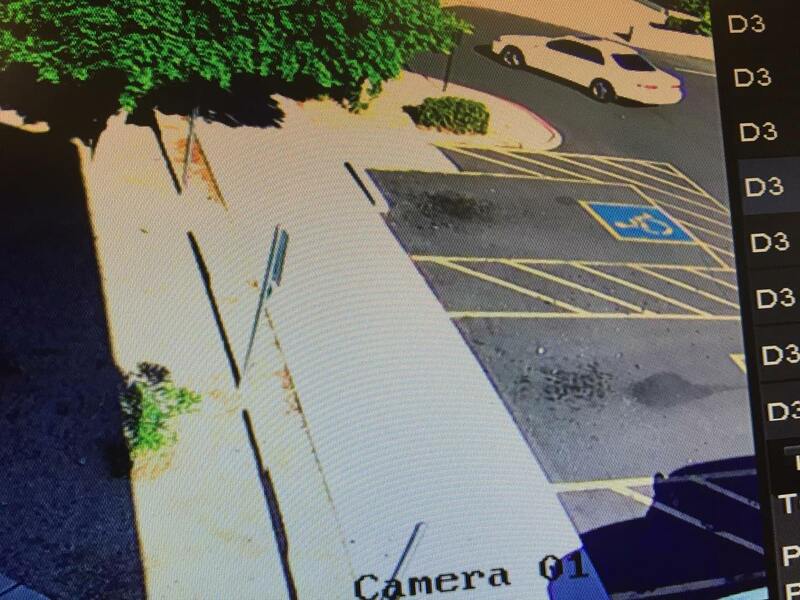 (Above) Health Clinic confirmed they will release video surveillance over to Phoenix Police Department showing car registered to Martin Quezada, Jr.